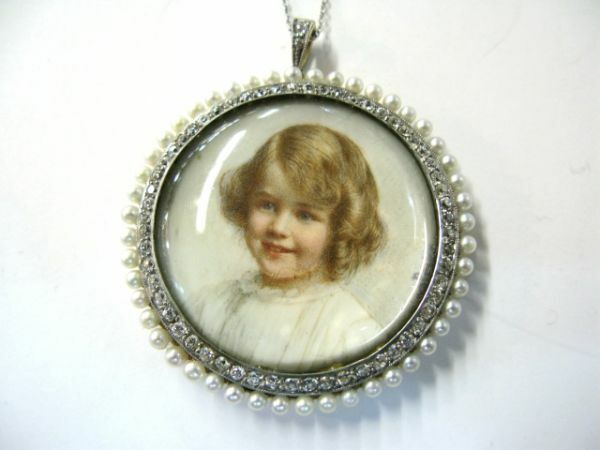 A custom made platinum and 14kt yellow gold pendant by Ryrie, Canada with 48 grey seed pearls, approx. 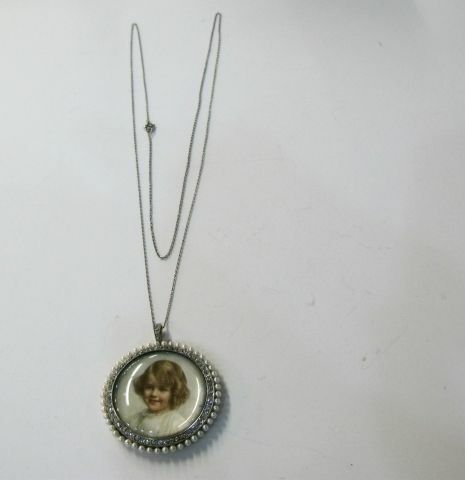 2.2-2.3mm and 60 bead-set old European cut diamonds, est. 1.11ct. (H-I colour & SI clarity). The platinum chain is approx, 28 inches (71.12cm) long. 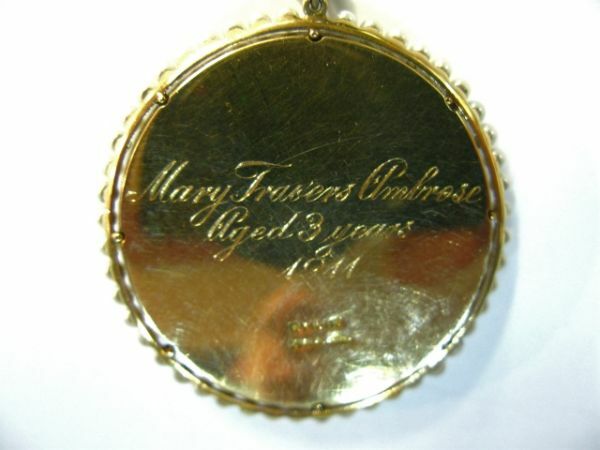 The back is engraved "Mary Travers Ambrose, Aged 3 1911".